Mickey Thompson as Brutus. Watch your back. Political intrigue is timeless fodder for dramatists and with an overtly political play like Julius Caesar, it's tempting to start correlating key characters with members of the current administration. Is Trump Caesar or Brutus? Is Bannon Cassius or Antony? And what of the upstart Octavius? In Shakespeare's day, he was likely the character attracting the most speculation, given the aging Queen Elizabeth I's lack of an obvious heir. Her Majesty surprised a nation; Shakespeare leaves us to speculate alone on the future of Rome's fledgling democracy. The current Humboldt State University student production of Julius Caesar takes a fairly traditional approach, although Shakespearean stage culture, in which men often played women, is somewhat turned on its head by casting female actors as many of the male characters. There are also flights of fancy from the costume department, courtesy of Isabelle Ceja, but the familiar lines are all there. My personal favorite has always been, "Yon Cassius has a lean and hungry look; such men are dangerous," reminding us that first impressions are usually correct — and that failure to act upon them can be fatal. There are some clear highs and lows amongst the performances. Top honors must go to Erin Henry as Cassius; she has that lean and hungry look down pat. There is palpable implied danger behind every hissed and whispered syllable as Cassius manipulates Brutus to fulfil his agenda with the Roman equivalent of fake news. Henry successfully navigates Cassius' Machiavellian path to glory and subsequent inevitable fall, never slipping out of character for a second. As Brutus, however, Mickey Lee Thompson never feels like "the noblest Roman of them all." His delivery is hesitant and a (nervous?) smirk somewhat reminiscent of Bush 43 creeps onto his face rather too often. His demeanor is compliant more than anguished and one is left wondering why it took Cassius so long to convince him to engage in the plot to kill Caesar. It is to be hoped that Thompson grows into the role over the course of the run, as he showed much promise in last year's Peter and the Starcatcher. In the role of Antony, Michelle Purnell initially demonstrates a strong command of Shakespearean oration, particularly in the aftermath of the assassination. After "et tu, Brute," this is the point in the play at which most of Antony's best remembered lines appear — the "friends, Romans, countrymen" speech, "cry heaven and let slip the dogs of war," and "if you have tears, prepare to shed them now." Unfortunately, Purnell's oratorical strength descends into shouting in much of the remainder of the production and her physical acting does not keep pace with the emotions expressed in her dialogue. William English III turns in a competent but unmemorable performance as Julius Caesar, also showing a tendency to shout rather than carefully enunciate his speeches. Caitlin Hatfield as his wife Calpurnia is the stronger performer as she tries unsuccessfully to prevent Caesar from heeding the warnings of the soothsayer (Maude Jaeb in another wonderfully melodramatic, though in this case tiny, role). In the role of Brutus' wife Portia, Emani Shelton is convincing in her anguished attempts to uncover her husband's hidden fears. 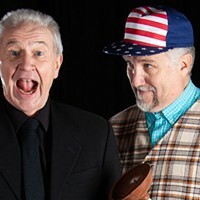 Mickey Donovan as Caesar's adopted son and heir apparent clearly has an ear and a feel for Shakespearean language, and conveys just the right balance of youthful enthusiasm for battle and potential for political gravitas. 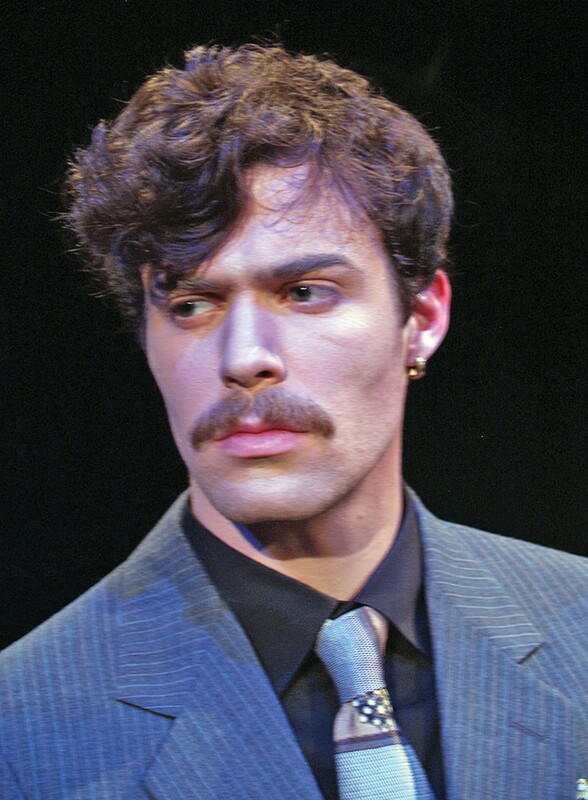 As "honest" Casca, Matthew J. Atkins gives a nuanced performance as the uncertain conspirator; he is obviously terrified by the ominous storms that precede the fateful Ides and that correlate in his mind with the menace of Cassius. Most of the remaining players deliver capable performances: Lauren Zika (Publius), Katherine Panebianco (Decius), Addie Godinho (Cicero), Constance Hill (Cinna), Benny Allen (Strato), Madison Burgett-Feagin (Trebonius), Shawn DeNell Wagner (Cato), Mary Hill (Lucilius), Sammi Stowe (Pindarus), Kelsey Fjell-Walton (Flavius), Sarah Haley Burfoot (Lucius), and Corinna Knighten (Messala). Only Jaime Vega (Lepidus), Victor Parra (Metallus) and Isaiah Alexander (Ligarius) seem to struggle with the language; all three were hard to understand and would benefit from additional dialogue coaching. The production is well staged and Calder Johnson's deft directorial hand is evident, particularly in the stabbing and battle scenes; the latter in particular benefit from almost comic timing as the two sides fight for the future of Rome. The only jarring note, at least for this reviewer, is the use of a cellphone to deliver the augurs' messages to Caesar — it seems an unnecessary device in a production with such a large ensemble cast. Johnson's supporting artistic and operations crews do a stellar job on the lighting, set and sound design that come together to effectively support the action and give the play the freedom to deliver its message for the ages. Julius Caesar plays through Saturday, March 11 at 7:30 p.m. at the Van Duzer Theatre. 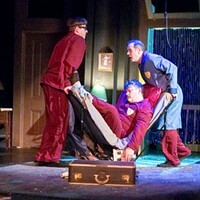 Call 826-3928 or visit www2.humboldt.edu/theatre. With a preview on March 9, the folk music infused Quilters, centered around a frontier woman and her family, runs through April 2 with 8 p.m. shows on Fridays and Saturdays and Sunday matinees at 2 p.m. at Ferndale Repertory Theatre. Call 786-5483 or visit www.ferndalerep.org. See original pieces by faculty and the Dell'Arte Company at Keep the Fires Burning: A Dell'Arte Cabaret featuring music, dance and more on March 17 and 18 at 8 p.m. Call 668-5663 or visit www.dellarte.com.